One of the hot topics of discussion in Muslim gatherings nowadays is, “how those Muslims back then were so awesome and we don’t even come close”. Such discussions usually end up inflicting gloom and hopelessness in everyone. Yes, it is true they were very inspiring. They ruled over half of the world. They were leaders in all sorts of skills and disciplines; be it warfare or medicine or banking system. We see the beautiful spider’s web of Muslim history crafted to perfection but we don’t get hold of the end of the thread so we can unravel the root cause. What was the pivot point that kept them going? Any ideas? What does differentiate us from them? It was their “paradigm”. They shifted their paradigm wholly. They didn’t just read a few words enough to make them Muslim, they made that One God, Allah their focus. We, on the other hand, get distracted very quickly. It’s good to look for answers, to use science as a tool, it broadens the mind, but to rely on it completely? That’s overdoing it. We know that earthquakes are caused by the moving of the tectonic plates and we hope furiously with our fingers crossed that some new discovery is made which can limit the movement of these plates. We know that eclipses are caused by the moon coming in front of the sun and we’re satisfied. We’re satisfied as long as science can explain how things happen. But this is not enough! Science does explain the ‘how’ part but what about the ‘why’ part? Looking into that ‘why’ and accepting the first answer that it is the will of the Creator and then looking for other answers is what we’re missing. We rely on science, we rely on our faculties, we rely on what media says, we rely on what the palmists and astronomers say, we rely on anything but on the real source believing on which makes us Muslim. No matter what befell them, they turned to Allah. They knew all good and bad comes from Him alone. They didn’t spend undue time on what the zodiac signs say and what the parrot pulls out of its basket. Prophet Muhammad ﷺ used to get anxious when strong winds blew or when eclipses happened or when a storm came. 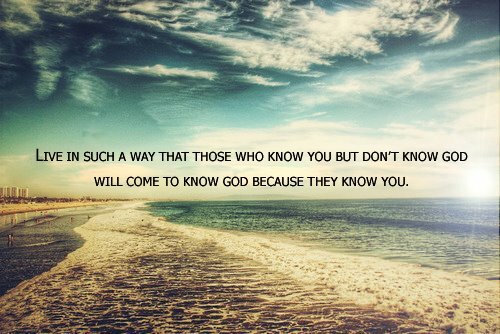 He knew these are signs in the creation shown by the Creator of this universe. We should seek Allah’s refuge, remember Him and seek forgiveness from Him when we come across anything strange or out of place. He took guidance from the Quran and what it says about winds. The Prophet (ﷺ) said, “The sun and the moon are two signs amongst the Signs of Allah. They do not eclipse because of someone’s death or life. So, if you see them (i.e. eclipse), remember Allah (i.e. pray). This is what we’re supposed to do instead of tweeting and updating statuses on social media. It’s the perspective which needs to change. May Allah guide us all. Ameen. How many people do you know in your life who have a passion for photography? Many, right? Out of those, how many photographers do you know who don’t have any picture of the sun in their portfolio? No one, you say? Exactly! After all, who can resist taking a picture of the sun rising or setting behind the clouds, in a clear blue sky, behind the trees, above water or at the roadside? Every single sunrise and sunset is different from the previous one. Every single one of them has their own beauty, their own uniqueness. Not only do we enjoy photographing the sun, but we also enjoy the sunlight in winters and benefit from it in various uncountable ways throughout the year. Today we know that not getting enough sunlight can cause a deficiency of vitamin D in our body. Even if we don’t ponder over these facts often, we know that the sun rises everyday and brings morning with it and its setting is the onset of night. Engrossed in our routines as we are, fretting about an assignment not completed, about an employee being on leave, about a family member being ill, we don’t for a moment doubt that today the sun might not rise or set way too early. We trust that even though our own faculties or are loved ones may deceive us, but the sun won’t. This trust, don’t you think is actually on the One who causes the sun to rise and set? We just know He won’t forget or make a blunder like we humans do. Yes, the sun functions by the permission of its Creator. Well, here’s the surprise! One day the sun won’t rise as usual from the East, but it will rise from the West. That will be a scary day. It will be the day when the end of this world will be very close, and when seeking forgiveness won’t benefit any more. One thousand years ago, no one could imagine that there could ever be created a device by humans that could perform calculations, organize data, make long distance communication a possibility and even point out mistakes of humans themselves. And yet, today every other person owns a laptop and hardly anyone can imagine their life without a smartphone. However, despite all the development in technology and despite the advanced efficiency of the brain of computers, no one can claim that they come at par with the human brain. Nor does anyone ever believe the camera lens to be equal to human eye. Although the camera lens captures the most intricate details of the scene, enhances colours and tones and even adjusts the lighting of the environment, it still cannot do what the human eye can. If you take an aerial view, you’ll come to realize that humans, computer and the camera, all are created after all. Humans are created by God and computer and the camera are created by humans. If we say God is the Creator and all else is creation then in short, they all (humans, computers, cameras) are creation of God. But even then there is no comparison of one creation (humans) with the other creation (computers & cameras). How strange is it then that a comparison is made between the Creator and creation? Not only is it strange but absurd and illogical as well. How can purely human traits be in God and how can God not do what humans can’t? It doesn’t even make sense. Which is why the Creator does not approve of any such false statements. May Allah make us see the truth and follow the truth only. Ameen. We have already discussed that one of the ways to achieve a happy life is through true faith and righteous deeds. Now let’s move on the second one. good conduct (ihsaan) over the creation through words, action and known ways of doing good. Because all these are types of good conduct. Note that the word used here is ‘creation’ and not ‘people’. It means do good not just with humans but with whatever you interact with on this earth. The animals, plants and even the inanimate objects. And then doing good through words, action and whatever are the known ways of doing good which means whatever you know is good, because our conscience is programmed in such a way that we can distinguish good and bad innately. Also, our culture and society gives us the basic moral values. When we talk about doing good with words, it includes your tone, expressions and body language as well. so Allah makes doing good easy for him. Because generally being good to others is difficult for most of us, so when doing good is made easy for you, isn’t that a great reward? It’s like your work on which you get benefits and salary is made easy for you so you keep getting more benefits and promotions etc. 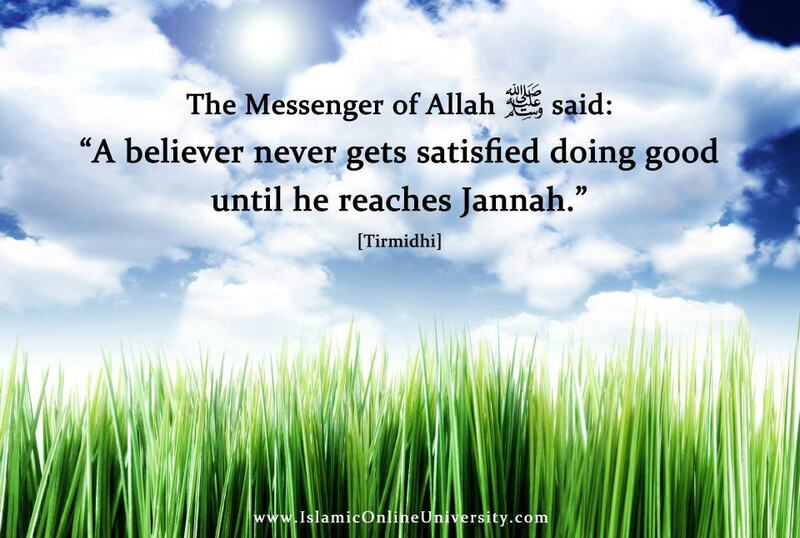 Do you know what is one of the reasons that good becomes easy when you do it for Allah’s sake? It’s because every person in this world is a creation of Allah, no one is exempted, so you have to do good to all of them if you are doing it for His sake. Whereas if you are doing good only of your own accord then there might be some people who you’re prejudiced against and you might not be able to do good to them. Doing good for people is difficult, doing good for Allah is easy. The true believer hopes from Allah for good (khayr) and so his troubles are removed from him due to his sincerity and his hope for reward. Generally, it’s not considered good to whisper but in this case, when you’re encouraging others to do good, you can whisper. And not only can you whisper but you also get rewarded for it. Another interesting thing is that you’re not doing a good thing yourself, you’re just telling others to do it, even then you get rewarded. So Allah told us that all these things, whoever does them, have good (khayr) in them. Good brings good and drives away evil. Isn’t that great? Doing good has two benefits. It could have only brought good, but no, it also removes evil. Double reward! Indeed the true believer who hopes for reward, Allah gives him great recompense. From the package of great recompense, only one portion is that worry, grief, unsettling and similar things depart. Imagine what rest of the package holds! We plan and Allah plans! Love & Rahmah - Revive it, Parents! Fragrance of Prophet Muhammad s.a.w! Habits of Prophet Muhammad s.a.w!